Juan Guaidó, 35, spent last Saturday (19th) in full campaign against Nicolás Maduro. Hopping from town to town in his native Venezuela, the National Assembly's president performed small rallies to convince the people to support the Assembly, who opposes Maduro and it is the only government department elected by popular vote in the country. "Our main goal is to transition Venezuela back to democracy, and that includes giving amnesty to military officers and politicians, by any means necessary, as long as the society agrees to it by vote," he said during a telephone interview with Folha, from Caracas. "There are 159 active officers in jail for insubordination, and in the last few years, there were 3,000 dismissals. It's obvious that it's just a matter of time until they join our cause," he said. Venezuela's National Assembly is supported by a large part of the international community, and it sustains that since 2015, the Maduro administration conducted several unlawful elections. In one of those, a new Constitutional Assembly was formed, which in practice replaced the National Assembly's duties. On May 2018, in another election considered fraudulent, Maduro was elected for another six-year term, which would allow him to stay in office until 2025. But as Maduro was sworn in, on January 10th, the National Assembly claimed that he was usurping the presidency and that the office should be handed over to the Assembly's president, Juan Guaidó, who would be sworn in as interim president and call for new elections. The young representative, who founded the political party Vontade Popular (Popular Will) with the former mayor of Chacao Leopold Lopez, was detained for about an hour by agents of Venezuela's intelligence service. The government called it "an isolated act of insubordination of a few officers" and let him go. But the episode gave Guaidó international notoriety and showed the world the state of things in Venezuela. 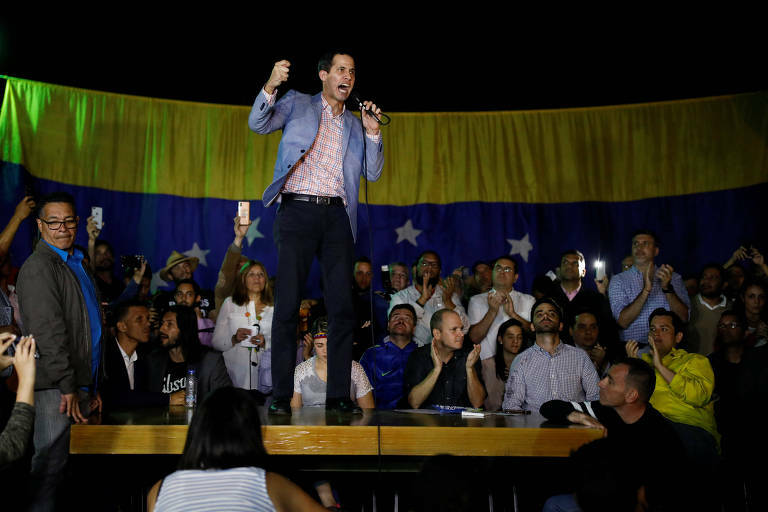 When asked if he would run for president when a new election takes place, Guaidó said that "for now," he doesn't picture himself in this role. "I see myself as the National Assembly's leader during a very delicate and hopeful moment of transitioning back to democracy. A democracy that we had and lost. This responsibility fell in my hands, and I hope to rise to the occasion. For now, I'd rather say that I am an articulator and agent of political change. That's enough responsibility as it is."